Hazelnut milk - Make your own delicious dairy-free milk at home! I love a good dairy-free milk and this hazelnut milk is honestly so delicious. I made this thicker than my usual almond milk recipe and it worked out great. My love affair with hazelnuts began at a young age. They are one of my favourite nuts. I usually have a big batch of blanched hazelnuts in the freezer ready to pull out to make this milk or to put in desserts. Hazelnut milk is the perfect base for a dairy-free smoothie and a great way to start your day. I love almonds and almond milk but I like to mix it up every now and then. All nuts give us different vitamins and minerals so it’s a good idea to eat a variety. Hazelnuts in particular are high in folate, vitamin E, copper and manganese to name but a few. Recently, I even dusted down my ice-cream machine and made some delicious hazelnut milk ice-cream. Recipe coming soon, I promise. 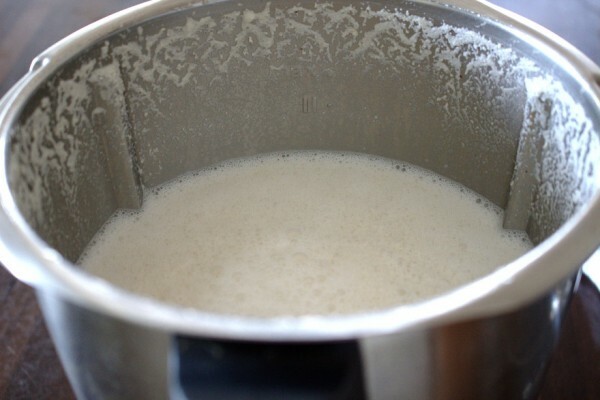 For a long time, I was put off the idea of making my own nut milk as it seemed too much work when I was already cooking everything from scratch. I promise you, for a little effort the reward is huge! 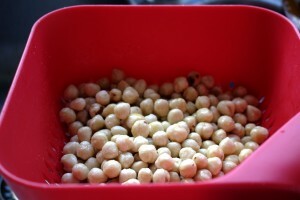 Once you soak your blanched hazelnuts the night before, you have very little work to do. The reasons for soaking nuts and using blanched ones are twofold: this makes them easier to digest and makes a smoother milk. You will also need a nut milk bag to strain the milk after blending to get a smooth, delicious consistency. I ordered one from Love Tree Products in the UK and it’s perfect. This hazelnut milk won’t keep more than two days in the fridge as there are no preservatives in it so you can half the recipe if you think you won’t use it all. 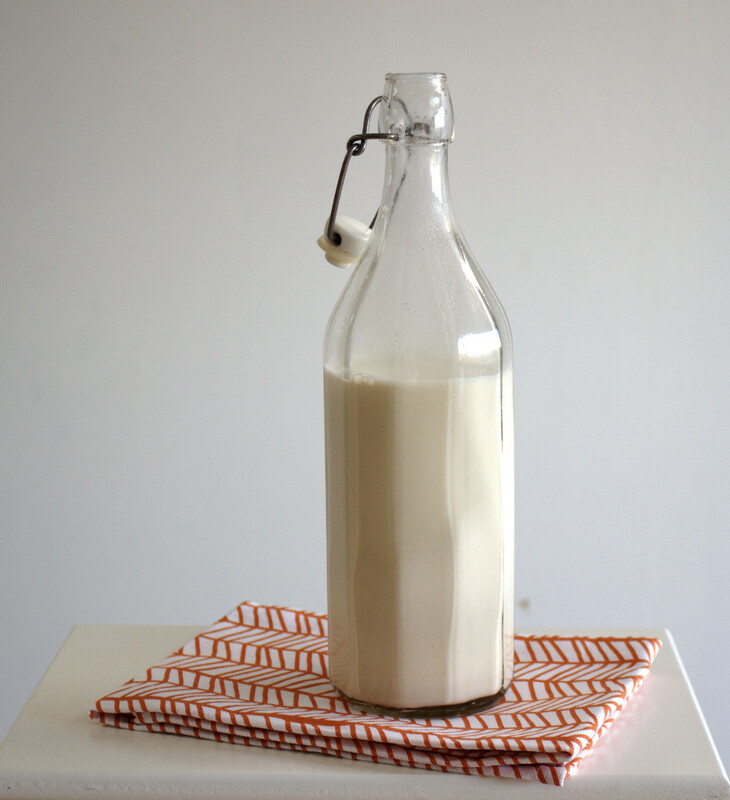 You can see my recipes for Almond Milk and Cashew Milk by clicking here. A delicious non-dairy milk: nutritious and great is smoothies! Naturally sweetened so free of refined sugar this is also Paleo and suitable for the Specific Carbohydrate Diet (SCD). Drain the soaked hazelnuts and add to a powerful blender with the water and dates. Blend for a few minutes on high until you achieve a smooth milk. Pour through a nut milk bag into a glass bottle with a lid. Use immediately or store in the fridge for up to 2 days.